In his letter home after being captured as a prisoner of war, Jack Baker mentioned four other Wolverhampton soldiers who had died on the same day. One of these men was John Hurlston. John Hurlston was born in about 1889, although I have not been able to find his birth record. On the 1901 census he appears at 139 Deans Road, in Heath Town, together with his parents John and Elizabeth, and a boarder, Mary A. Jones. He enlisted in the 1st Battalion of the South Staffordshire Regiment (number 7759). He was killed in action in a trench at Ypres on 26 October 1914. By the time he died, his father’s address was given as 92 Grove Street, Heath Town. He is commemorated on the Ypres (Menin Gate) Memorial, as well as on the Heath Park memorial. Private P. W. Start, son of Mr Montague Start, The Hollies, Hordern Road, has been severely wounded in the left leg. He was educated at St Jude’s Schools. This relates to Percy William Start, who was born in Wolverhampton in 1899. He was the son of Montague and Leah Start, and in 1901 the family were at 68A Evans Street. Montague, Leah and Percy’s brother, also Montague, were all born in Plymouth, so clearly the family had only recently moved to Wolverhampton. The household also included an adopted daughter, Laura Guigan, and Leah’s brother, John Prowse. Percy enlisted as a Private in the Yorkshire Regiment (number 43700) but, despite being wounded, did survive the war. He married Annie Dodds in 1929, but they do not appear to have had any children. Percy died in 1964. This blog post has been prepared by one of our volunteers, Ann Eales. 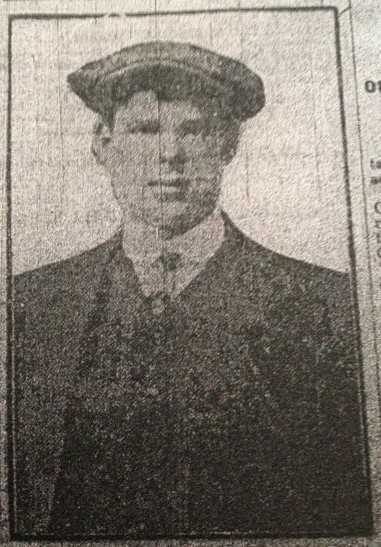 Private J Baker is mentioned in the Express and Star on 26th January 1916. This photo accompanied the article. Private J Baker of the 1/6th South Staffordshire Regiment whose home was at 47 Froynell Street Willenhall, has been killed in action. Private Baker joined the Territorial Force about eighteen months ago and went to France in June 1915. Private Baker was a very willing soldier and no task was too difficult for him to attempt. He was popular with his comrades and officers alike. At the time of the 1911 Census, a John Baker was living at 47 Froynell Street, Willenhall. The Medal Card of John Baker (number 2254) shows that he went to France on 25th June 1915, and, sadly, was Killed in Action on 13th October 1915. There would have been time for the bad news to get home, and for the above article to appear in the Express & Star on 26th January 1916. John Baker was christened on 3rd June 1896 at St. Giles’, Willenhall. The Baptismal record shows his Birth Date as 14th May 1896, “Father William Baker Mother Mary.” A search was made on FreeBMD for any indication of John Baker marrying, but no record was traced. At the time of the 1901 Census the Baker family was living at Court, 1, Froynell Street, Willenhall, Wolverhampton, the household consisting of W Baker, Head, age 37, Occupation Brass Pad Lock Maker, Mary Wife age 35, Frederick W age 11, Helen K age 9, Edith H age 7, John L age 4, and Mary L age 2. The family was Willenhall born. By the time of the 1911 Census the Baker family lived at number 44 (they must have moved to number 47 subsequently) Froynell Street, Willenhall, Wolverhampton, and members of the household listed in the order: William Baker, Head, age 47, Occupation Locksmith, Mary Wife age 45, Frederick son age 21, Locksmith, Helen daughter age 19, a clerk at a Brass Foundry, Edith daughter age 17, at home, Lily daughter age 13, Doris daughter age 8, John son, age 15, Lock Maker, and Herbert, son, age 2. All members of the family were born at Willenhall. The census form also records 12 children of the marriage, of whom 8, being those recorded on the form, survived. This blog posting has been prepared by volunteer, Ann Eales. The following extract is taken from a letter written by Private Jack Baker, 1st South Staffords, whose home is at 109 Stafford Street. He is in the hands of the Germans. He writes ‘I am wounded in three places in the shoulder hip and back. My back is still bad but I think it will soon be alright again. I expect to be sent to Germany soon.’ Private Baker was wounded at Ypres on 26th October and he states that nearly all his regiment were cut up on that day. On October 25th the South Staffords relieved another regiment but soon found out that the trenches were not bullet proof. Private Baker was in a trench with four other Wolverhampton soldiers who lost their lives. Private Baker says he hopes the war will soon be over. The letter was brought to Wolverhampton by a friend of the writer, who having lost an arm, was sent back to this country with other wounded prisoners. A search of the Prisoners of War website which has POW records, revealed further details of John W. Baker of Wolverhampton (clearly known as “Jack”). His regiment number was 8456, and he was captured on 26 October 1914 at Ypres and kept at the camp “Celle”. His date of birth was given as 15 April 1891. His German records state that he was “nicht verwundet” (“not wounded”), but his letter above seems to suggest otherwise. At some point he was moved to a camp at “Hameln”, and later transferred to Holland on 13 June 1918, where he remained until after the war. J Baker’s name appears in the list of those who attended the Wolverhampton Peace Dinner in March 1919. Wolverhampton Archives has a copy of the “Programme for dinner and entertainments (Peace Dinner) to returned prisoners of war at the Baths Assembly Rooms, Wolverhampton, Mar 1919″. His birth details can be confirmed on Freebmd as the birth of a John William Baker in the June quarter of 1891. In 1901 the family were living at 25 Gibbs Street, and the household consisted of John, his parents John and Margaret (the latter born in Newcastle), his brother Arthur and his as-yet-unnamed baby sister. With regards to the four other Wolverhampton soldiers who lost their lives on the day Baker was captured, I have managed to find two men in the 1st Battalion of the South Staffordshire Regiment who died on that day and had Wolverhampton links – John Hurlston and Harry Birch. I will feature them on future blog posts. Fred Foundling was born in 1896, the son of Frederick and Elizabeth Foundling. In 1901 they were living at the back of 87 Coventry Street, together with Fred’s brothers James, Samuel and William, and sisters Beatrice and Sarah. Fred enlisted with the South Staffordshire Regiment (number 9625). He was awarded the Military Medal for “gallant conduct”, which was announced in the London Gazette on 20 October 1916. He was therefore one of the local Wolverhampton men invited to the presentation mentioned in yesterday’s blog post. Fred went on to marry Ava Pillinger in 1918, and the couple had two children, Fred in 1919 and an unnamed baby boy in 1920. The baby boy unfortunately died not long after his birth. George Harry Elcock was born in 1890, the son of George and Fanny Elcock. In 1902, the family were living at 52 Alma Street, along with George’s three brothers (John, Joseph and Rowland – the latter being the only Wolverhampton man to win the Victoria Cross during the First World War) and two sisters (Florence and Sarah). Sergeant H. A. Clarke, D. C. M.
Sergeant J. E. Wilson, D. C. M.
Lance-sergeant G. H. Elcock, M. M.
Acting-Sergeant H. Wright, M. M.
Private F. Foundling, M. M.
Private J. Brough, M. M.
I will endeavour to feature the other men on this blog too, although some of them (notably Clarke, Wilson, Wright and Walsh) have more common names and are more tricky to track down, so if anybody can flesh out the details for these men, I would greatly appreciate it! Archibald Whitehouse Darby was born on 14 December 1895, in Wednesbury, the son of William and Mary Darby. In 1901, the family were living at 77 Sweetman Street, Wolverhampton, with Archibald’s sister Bernice. In 1916, Archibald enlisted with the 38th Brigade of the Royal Field Artillery (number 101631). On 10 April 1918, he was wounded in the left leg, and was taken prisoner at Messines in France. Initially, he was just reported as missing, but an article in the Express & Star on 21 May 1918 indicates that his mother (now living at 144 Evans Street) had received information of his capture. He is listed on the Programme for the dinner that the Express & Star organised for returned prisoners of war in March 1919. Archibald married a lady called Emily F. R. Warrack in Gravesend in 1932, and the couple had two sons born in Wolverhampton, Archibald and Francis, between 1936 and 1939. Archibald died in December 1971. Harold Charles Highway was born in Wolverhampton in 1898, the son of John and Beatrice Highway. He attended St Peter’s Collegiate School, and passed the Oxford Preliminary Local Examination in 1911. He later worked at the Chillington Tool Company. In October 1915, he enlisted in the Army Service Corps and was drafted to Mesopotamia (in modern-day Iraq), where he held a post on the Purchasing Staff at Felujab. On 15 May 1918, he unfortunately died of typhus, and is buried at Baghdad (North Gate) War Cemetery. Along with his brother, Frank, who was killed in action in April 1918, he is commemorated on the St Luke’s Church Memorial in Blakenhall. 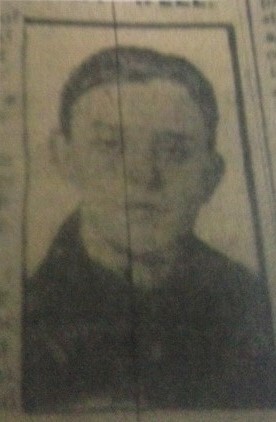 His details are also included in a small article in the Express & Star on 21 May 1918. Joseph Love was born in Wolverhampton in 1892, the son of Joseph and Eliza Love. In 1901, they were living with Eliza’s widowed mother, Marie Meacham, at 190 Dudley Road, along with a further four children. Private Joseph Love, of 12 Chapel Street, Blakenhall, Wolverhampton, who enlisted in 1915 and has fought in most of the battles on the Western front, being twice wounded at Ypres, was reported missing from March 21st. It now transpires that he is wounded and a prisoner in Lemburg, Germany. Unfortunately, this is where the trail goes cold. I have not been able to find an entry for him on the prisoner of war records. He is, however, mentioned on the Programme for the dinner hosted by the Express & Star for local returned prisoners of war. This gives us his regiment as the Sherwood Foresters. There is a Joseph Love who marries a lady called Margaret Durkin in 1922, so presumably this is the same man. This couple go on to have six children – Mary, Elizabeth, Marjorie, Iris, Ernest and Theresa – between 1923 and 1934. Jack Dench was born in about 1889, apparently in Wolverhampton according to the 1901 census, although I have been unable to confirm this. Presumably he is down as “James” or “John” in his birth registration. He was the son of Alfred and Sophia Dench and in 1901 the family were living at 37 Union Street. Jack and his parents were joined by his brothers Charlie, George and William, and sister Polly. As an adult, he worked at Bayliss, Jones and Bayliss. He married Nellie Ballinger in 1913 in Worcester. The couple had a daughter, Eva, later that year. In about 1908, he enlisted in the 3rd Battalion of the Worcestershire Regiment (number 11170), and he went to the Western Front in April 1915. On 16 June 1915, he was killed in action, having been “struck by a shell” according to an Express & Star article dated 24 June 1915. In a letter to Dench’s wife, Company Sergeant-major A. C. Potter, of the 1st Gordon Highlanders, said that her husband appeared to have been “hit with a shell in the back, and to have died a painless death.” Her address was given as 11 Quay Street, Worcester, with Dench’s mother now living at 13 Brunswick Street, Wolverhampton. Dench is commemorated on the Ypres (Menin Gate) Memorial.